About those woods is hard – so tangled and rough. As if to reassure myself I started carving 48 sculptures: one for each of the years that I had lived. They all had the same overall dimensions but differed in form. 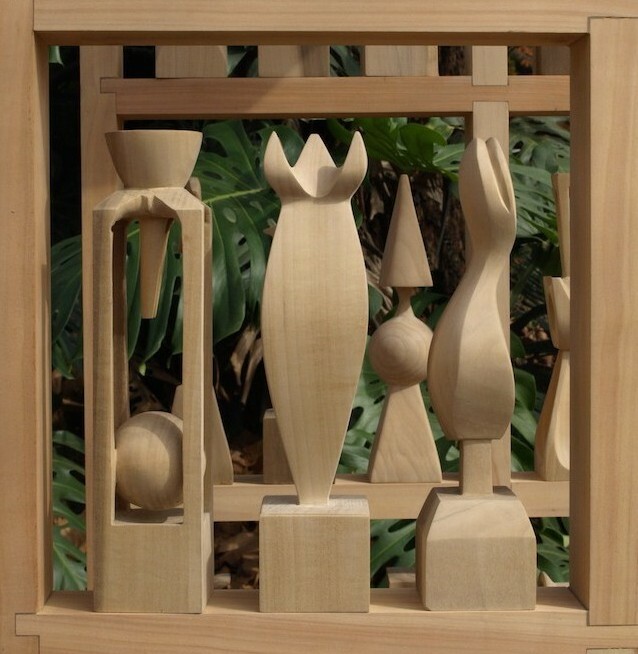 These I housed in a structure in which the pieces could be endlessly rearranged. With each permutation new synergies are formed, creating an inner dynamic that will rejuvenate the aesthetic of the piece. A proverb from In My Father's House: Africa in the Philosophy of Culture by Kwame Appiah (Oxford University Press, 1993) says: ‘The matriclan [matrilineal clan] is like the forest; if you are outside it is dense, if you are inside you see that each tree has its own position.’ And, it is from this new perspective, that South Africa, and indeed Africa, can experience a renaissance. 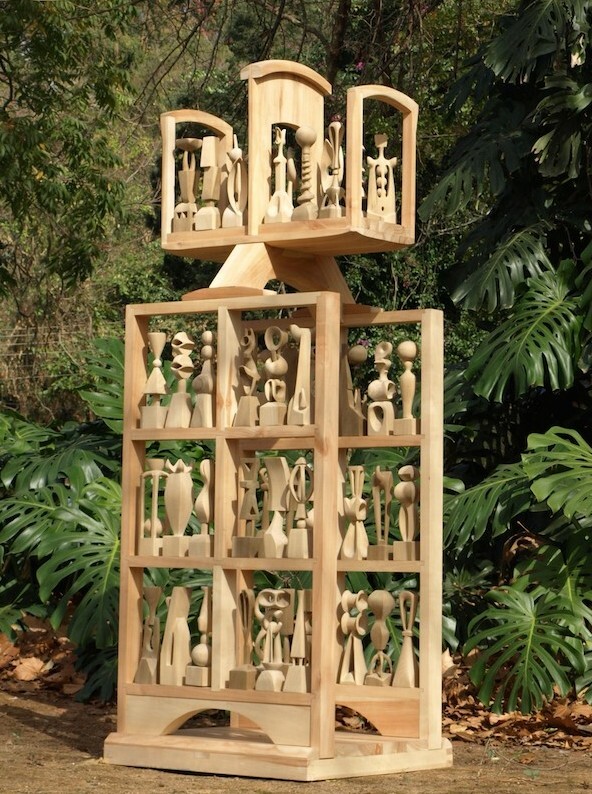 Gert Swart: In my Father’s House, 2003, American poplar and South African cotton wood, L 79 x B 63,5 x H 220 cm. Photo: Antony Wilson. In the collection: Marit and Peter Greenwood. 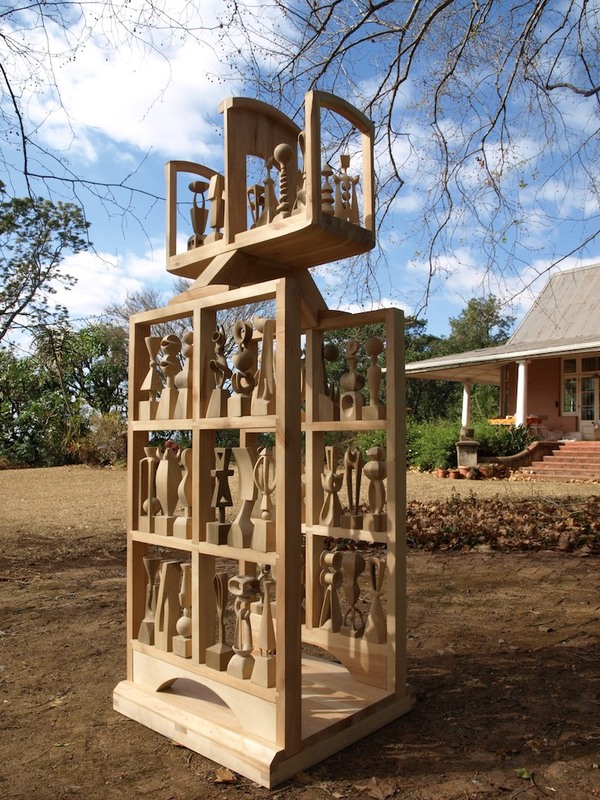 This meditation is an extract from Jill Addleson’s monthly art newsletter about artists of KwaZulu-Natal of Dec/Jan 2014/15, see http://artworxkzn.blogspot.ca/2014/12/reflections-by-gert-swart.html.